The future of learning depends absolutely on the future of teaching. 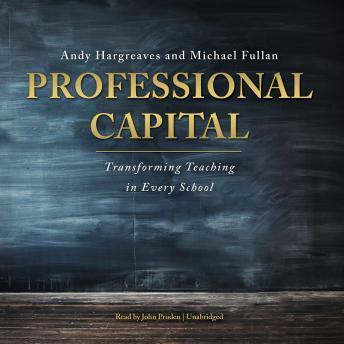 In their latest and most important collaboration, renowned educators Andy Hargreaves and Michael Fullan speak out against policies that result in a teaching force that is inexperienced, inexpensive, and exhausted in short order. These two international authorities-who know teaching and leadership inside out-set out a groundbreaking new agenda to transform the future of teaching and public education. Idea driven, evidence based, and strategically powerful, Professional Capital combats the tired arguments and stereotypes of teachers and teaching and shows us how to change them by demanding more of the profession and the systems that support it. The book includes action guidelines for classroom teachers, administrators, schools and districts, and state and federal leaders. No one connected with schools can afford to ignore this insightful book.